Respond to towing service calls and provide assistance in a timely, efficient and safe manner. Drive and operate the tow truck. Load and unload vehicles on the tow truck, using a winch, chains, blocks, electric controls, etc. Make sure vehicles are secured on the tow truck. Keep truck clean and organized. Complete all mandated forms and paperwork. Must possess a valid Class 5 license. Clearway Towing in Calgary, AB is looking to add another tow truck driver to our team. 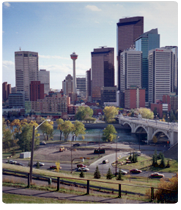 Clearway Towing is a growing towing services provider based in Calgary, AB. We are known for our great customer service and for the great care we take of our employees.